Is the news site widely known and understood to be a reputable source of information? Does the news site have an "About" page? Who are the authors and what do we know about them? Does the site include links to the original source? Is the information publicized by other news sites? How do I know if it's a fake news site or a reputable source? 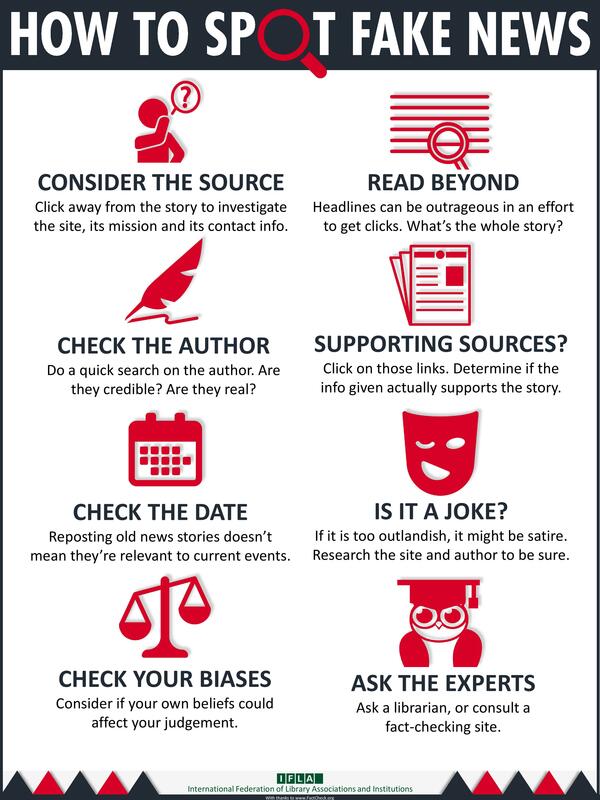 Watch the video to learn how to detect fake news in just over 2 minutes.